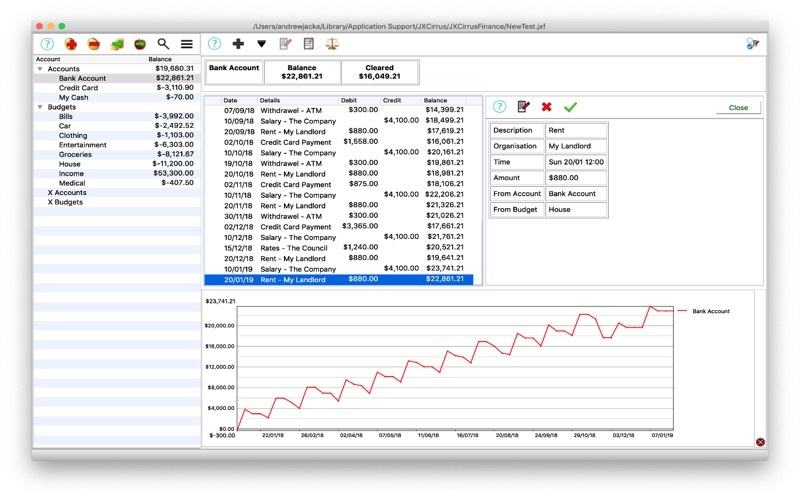 JXCirrus Finance lets you take control of the chaos of your home finances. Follow and check the balance in all of your bank accounts - JXCirrus Finance tracks every transaction and lets you tick them off against your bank statements. 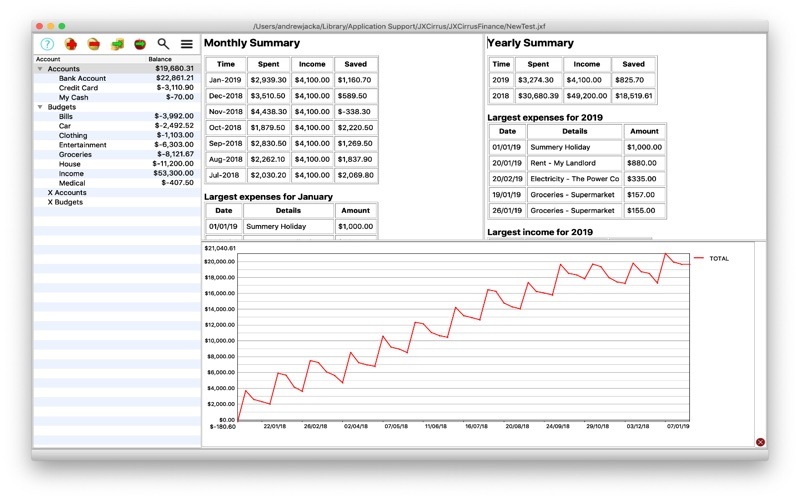 Create budgets to track where the money is going to, and graph them over time. - Keep the balance of multiple bank accounts as well as cash. 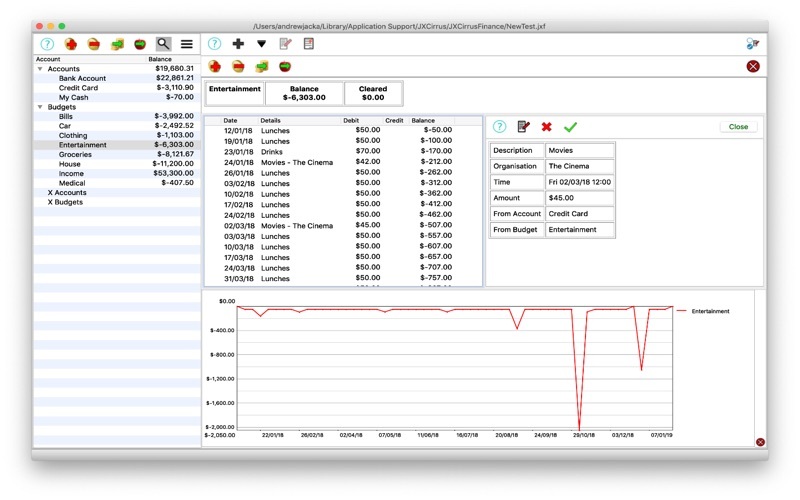 - Assign expenses to different budgets and keep track of your spending patterns. - Lock off transactions so that they cannot be altered (once you have checked them off against your bank statement). - Transaction details are pre-filled where possible to make it super quick to enter everything you spend. - Balance your account records against the cash in your bank account or your wallet. 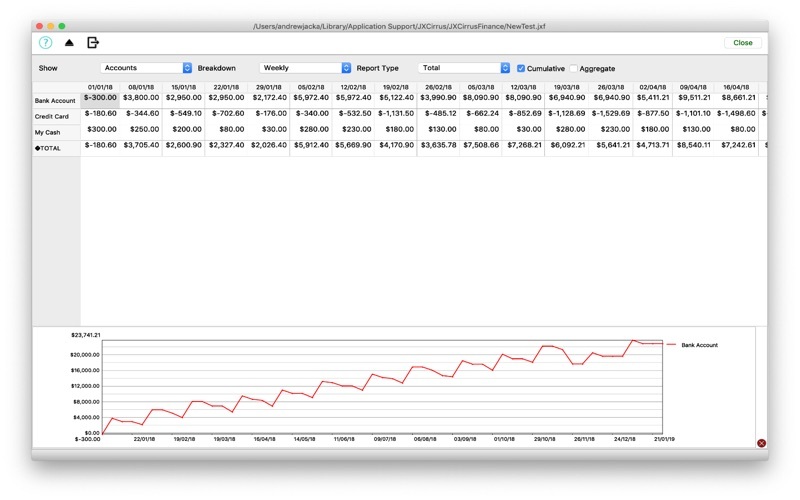 - Create estimated future transactions, such as holidays. - Quickly transfer between accounts or budgets. - Display your account balances or budgets week-by-week, month-by-month or year-by-year (and save to your favourite spreadsheet). 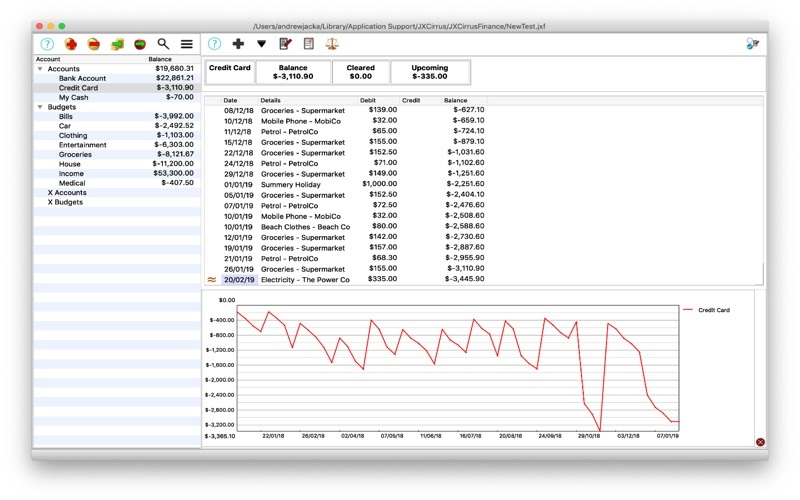 - Shows a graph of your account or budget balance. - Keep different files for different family members (as many as you like). 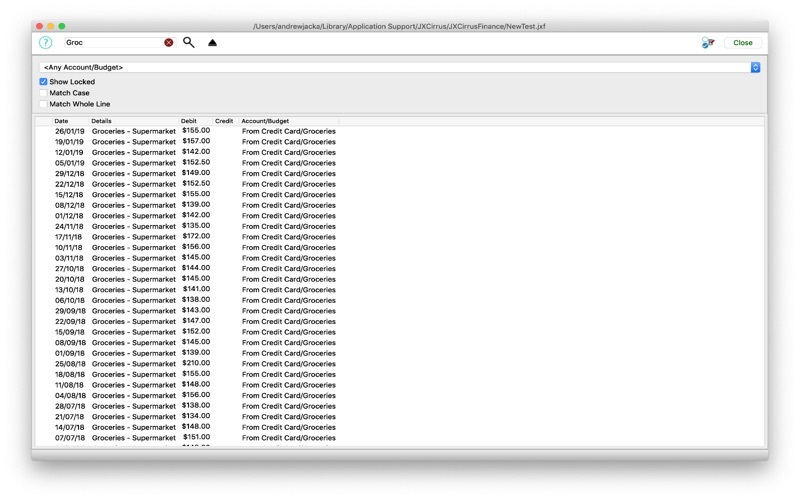 - Great search and bulk edit functions for transactions. - Works perfectly happily when disconnected from the internet. - Sync data between devices using iCloud or Cloud Share services. - Detailed inbuilt user manual. - Smarter pre-filling of transactions. - Fixed up the mysterious disappearing graph. 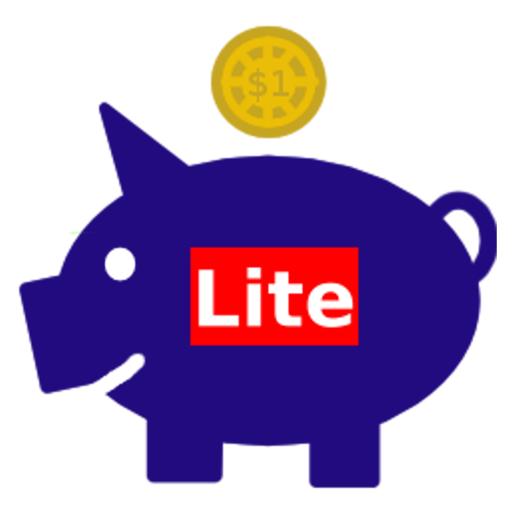 - Display the accounts and budgets list in tree form. - Much nicer graph display.